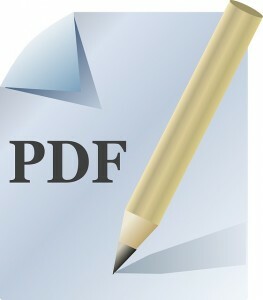 CosmoBC.com » TechBlog » Internet » What Is a Suitable Image File for Printing Services? There are several image files available for the storage of digital images. Each file is designed for specific purposes and each has advantages and disadvantages. Printing services prefer certain file formats. The quality of printing and web images depends upon the file format used. JPEG or JPG stands for joint photographic experts group files. These file types are very common in graphics programs. The file format is also widely used in digital cameras. It is a flexible format which is small and easily usable. It is generally regarded as the image file type to use for websites. The disadvantage of JPG files is that the quality of the image degrades over time. Repeated editing or enhancing of the image will cause a decrease in its clarity. This can prove economically disadvantageous for business. TIFF stands for tagged image file format. It is a popular file system that is used by graphic artists and publishers. TIFF is a very flexible format and is used frequently for printing services. Unlike the JPEG, a TIFF file will not degrade with time. Therefore, a TIFF file can be manipulated and edited without losing its quality. TIFF files are not supported by many web browsers, so the file type is not used in creating websites. Internet browsers find the JPEG format friendlier and therefore web designers prefer to use that format for images which are posted to the web. Most printing companies will request that original source material be presented in a TIFF format. If requesting brochures, flyers or business cards from a printer, it is best to provide the original material as TIFF files. PNG stands for portable network graphics. It is an open source file storage system designed to replace the older GIF files. PNG graphic files are larger than JPEG files and thus are less popular. The file type is designed to be used on websites, but it has problems with some older browsers. Some programs tend to make the images darker if they are PNG files. The PNG file format is not intrinsically designed for animation. GIF files are better for animated graphics. BMP stands for bitmap image file. BMP files are common in Windows applications. They are also recognised in many other types of programs. BMP files are easy to use and simple to recognise. However, they are primarily used in digital applications such as websites. Most printing companies will rely on TIFF files for high quality printed material. There are several different file formats which can be used for graphics storage. Images can be stored as BMP, JPEG, PNG or TIFF images. The format of the graphics file will depend on its use. For use in Windows applications, a BMP image would be an appropriate file. For use on a website, a JPEG or PNG file would be useful. However, for printed material such as advertising matter, TIFF files are preferred. This is due to the file format’s versatility and resistance to degradation. Designers should consider the ultimate use of their images before creating a graphics file for commercial use.